It's a Saturday evening as I'm writing this, I'm exhausted from our long walk in the (almost excruciating) heat and just generally being active in 40°C. 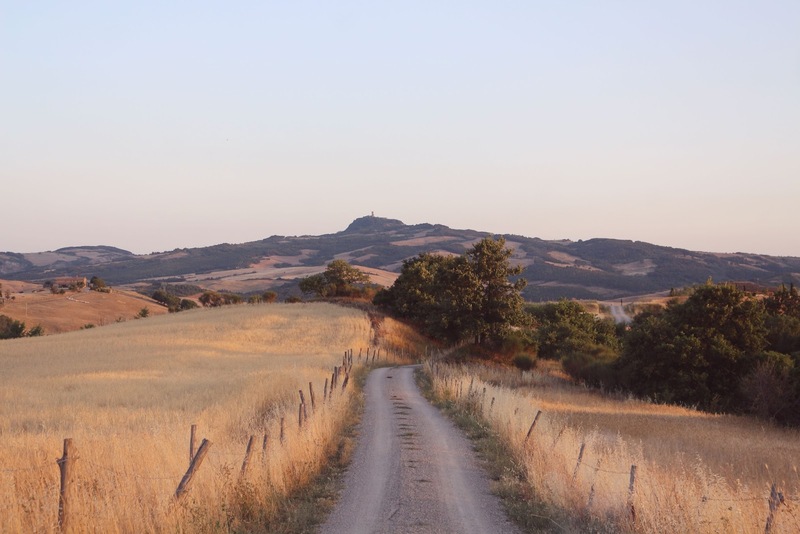 But hey, I'm watching the sun set over the hills of the Val d'Orcia and I just had a delicious vegan pasta pesto so I have no reason to complain. Apart from the fact that I tripped over and ended up on my right side on the stony road. I'm bruised and blue, but still alive. 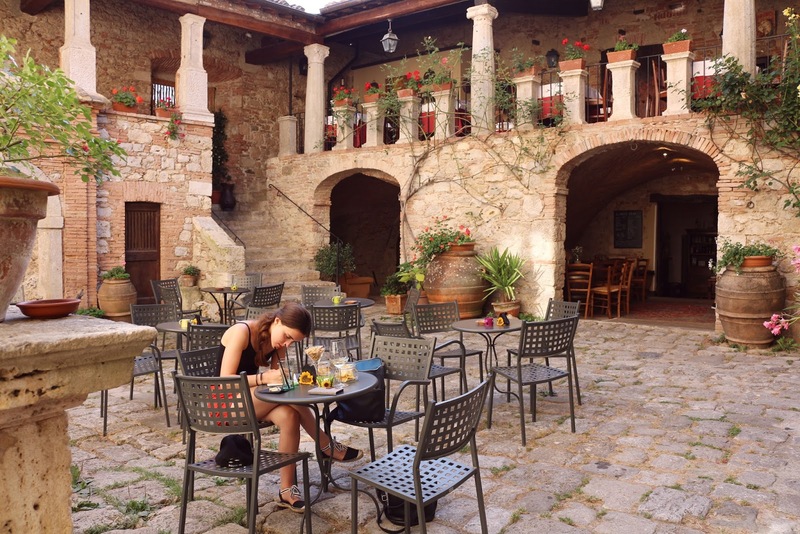 I've gathered travel inspiration I'm excited to share with you and hopefully, you'll be even more excited to plan a trip to Tuscany. The place my mom and I are staying at is a little house in Contignano I found through Airbnb and it's absolutely gorgeous. It's tiny, but seeing as we're constantly out the door there's no reason for renting an expensive house. We're renting a car for the next twelve days (of which three have already passed - sad face) and we'll be cruising through the valley. 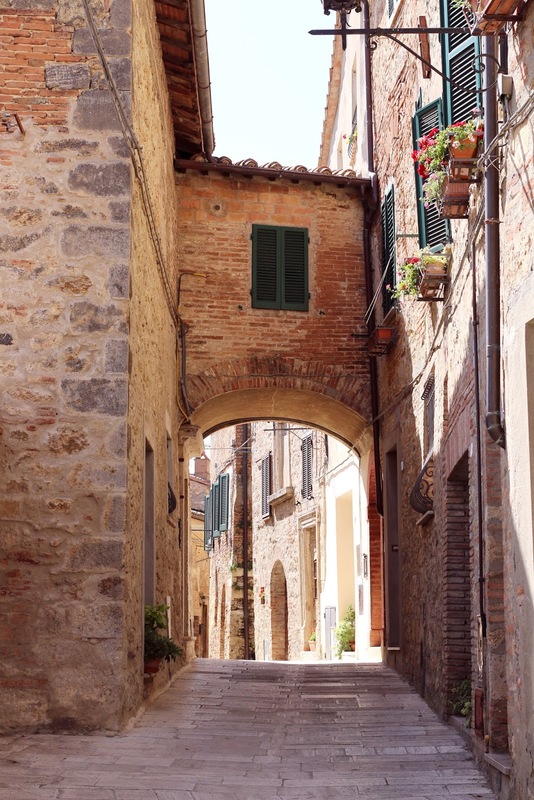 - The Fortezza; take the stairs to make the tower seem even more impressive after suffering through a rather sweaty climb. We did not visit the fort itself, but if you fancy a walk through it'll cost you about €4 per person. - Pane e Companatico di Cesaretti Silvana; a baker who is very passionate about her bread, worth a visit if you're hungry or just curious. 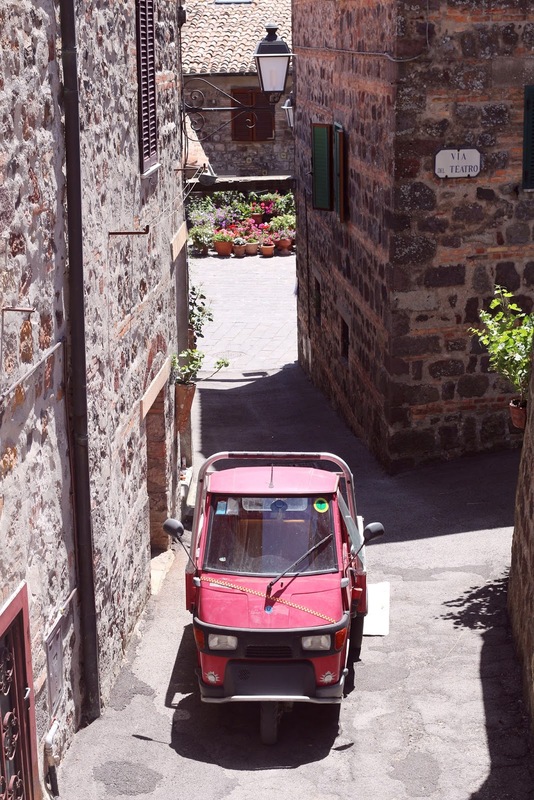 - Have a little stroll through the streets of Radicofani and embrace the authenticity of the village. 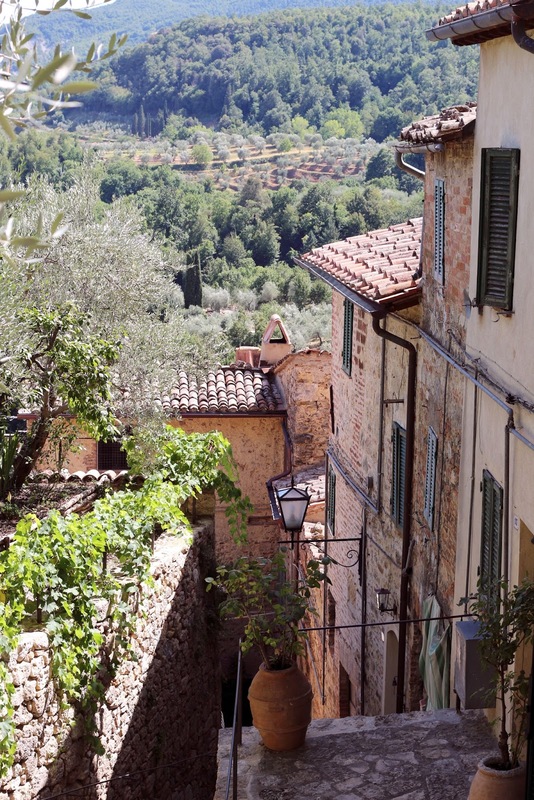 Wander through the little village and enjoy the breathtaking views over the valley. Other than this there isn't that much to see, but it's always fun to discover new places when in Tuscany. Cetona is a larger city (with a supermarket!) where you can find several restaurants to eat out. 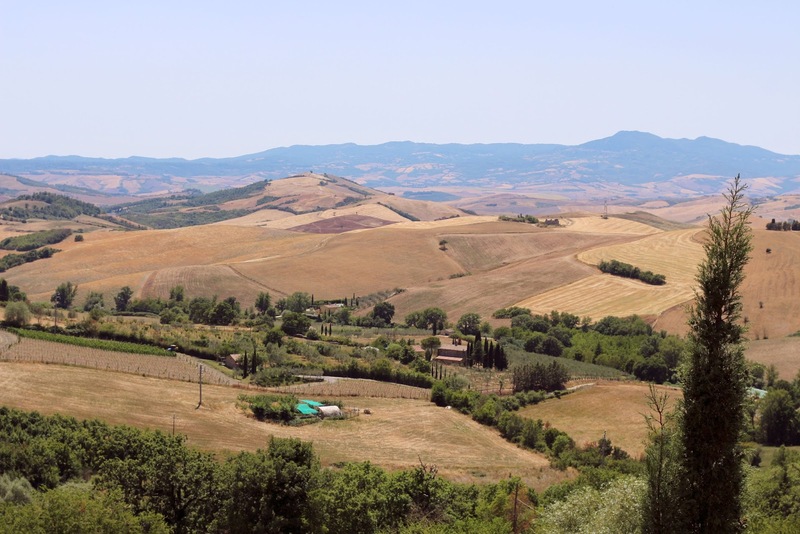 Outside of the city you can find Suzie's Yard, a farm where the best organic olive oil is made. We didn't have the time to visit the farm, but if you have the time be sure to check it out. My mom was excited to have some ice cream (not vegan, sadly) at a bar called Diavoli in Sarteano so we headed towards the village. I was exhausted by that time so I caught up on some rest whilst she had her daily dose of sugar. We walked around the city for an hour before deciding we were hungry and needed a proper meal. Italians eat rather late (around 7 P.M.) and my metabolism isn't used to this, which means I get hungry around six. Thus, we survived off snacks and a soda for me whereas my mum had some wine. 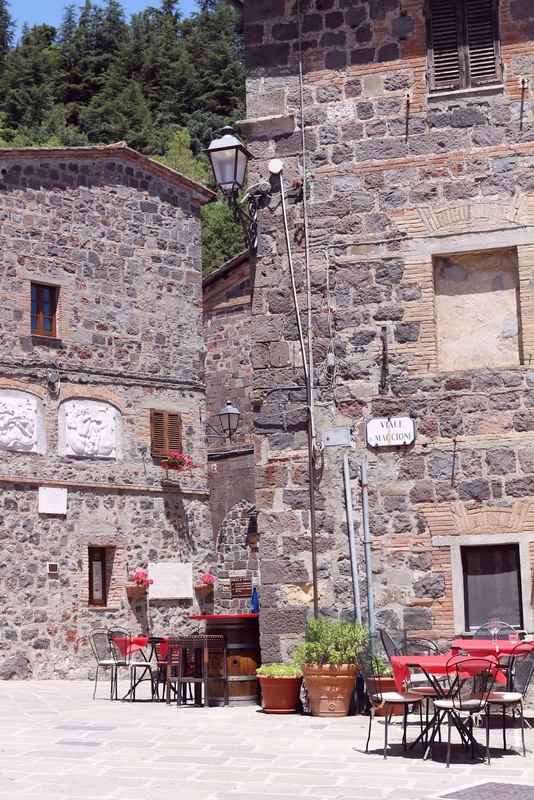 The restaurant where we ate a delicious meal, which I would 100% recommend, is called 'Chiostro Cennini'. They even had an accidentally vegan option! Also, may I add that the bread is freshly baked and served warm and crispy? 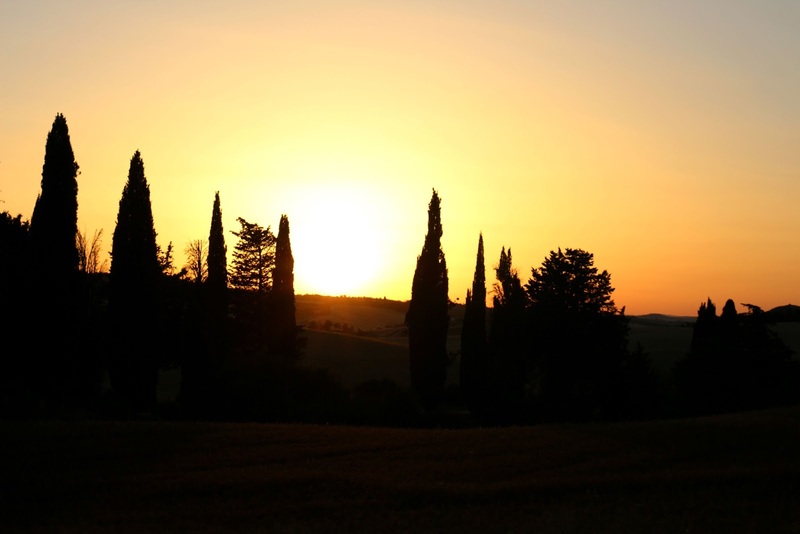 *drools* I also wanted to share the gorgeousness that is the sunset in the Val D'Orcia.